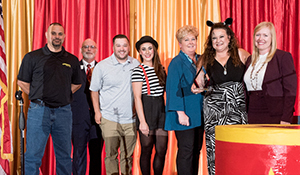 On Tuesday, September 25th the GVCC honored our six award recipients at the Annual Dinner, themed "Under the Big Top," presented by the Port of Vancouver USA. 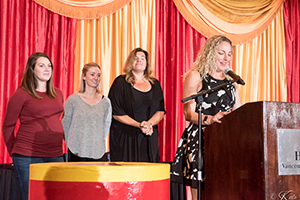 The six BLA categories are: The John S. McKibbin Leadership Legacy Award, Business of the Year (large and small category), Start-Up to Watch, Community Champions, and Statesman of the Year. Greg Kimsey first took office in 1999 and believes his responsibility is to work to improve citizens’ confidence in their government. While the County's population has grown by nearly 40%, and government employees have increased by more than 12%, the total number of Auditor’s Office employees has decreased by 14%. The 2018 legislative session resulted in the most significant changes to Washington’s elections system since 1993. In the future, people will be allowed to register to vote on Election Day. Certain groups of citizens will be automatically registered to vote and 16 year old citizens may pre-register. In addition, the Auditor’s office is working with the Secretary of State to replace and improve the state-wide voter registration system. Kimsey will work to implement these changes in a way that ensures the integrity of our elections system is maintained. Kimsey has been recognized by Washington’s Secretary of State as the “County Auditor of the Year”, and by the Mainstream Republicans of Washington as the “Local Government Official of the Year.” During each of the last four years the Auditor’s Office has received the highest awards given by its national peers for its performance audits. Dellan Redjou has spent decades generously giving back to our community. She sports an impressive resume, over 30 years as a successful business owner, 26 years as an active member of Hazel Dell Salmon Creek Business Association, 25+ years as a member of the Greater Clark County Rotary Club (serving as president twice), she served 10 years as a member of the Greater Clark County Rotary Foundation Board (serving twice as president), 15 years as the chair of the Hazel Dell Parade of Bands and the list goes on. In 2014, Dellan Redjou accepted the position of Director of Volunteers and Community Resources for Share. Her co-workers describe her as pure ENERGY! As the Director of Volunteers, she manages almost 4,000 volunteers a year. She goes above-and-beyond the typical shift, letting church groups into Share to volunteer at night. Often, if a child in one of Share's shelters is having a birthday, Dellan will make certain that a birthday box is delivered that night. The next day is absolutely not acceptable. 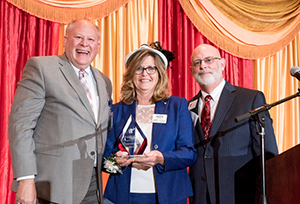 This year, she was co-chair of the Rotary Club of Greater Clark County’s annual Rummage Sale; and she, along with her late husband Wayne, were inducted by the Rotary Club of Vancouver Sunrise into the Clark County Hall of Fame. Dellan also was a competitor in the Dancing with the Local Stars competition, supports Habitat for Humanity, Open House Ministries, American Red Cross, Friends of the Carpenter and more. 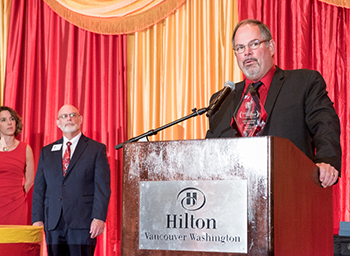 Brent Grening, the CEO of the Port of Ridgefield is this year's John S. McKibbin Leadership Legacy Award recipient. 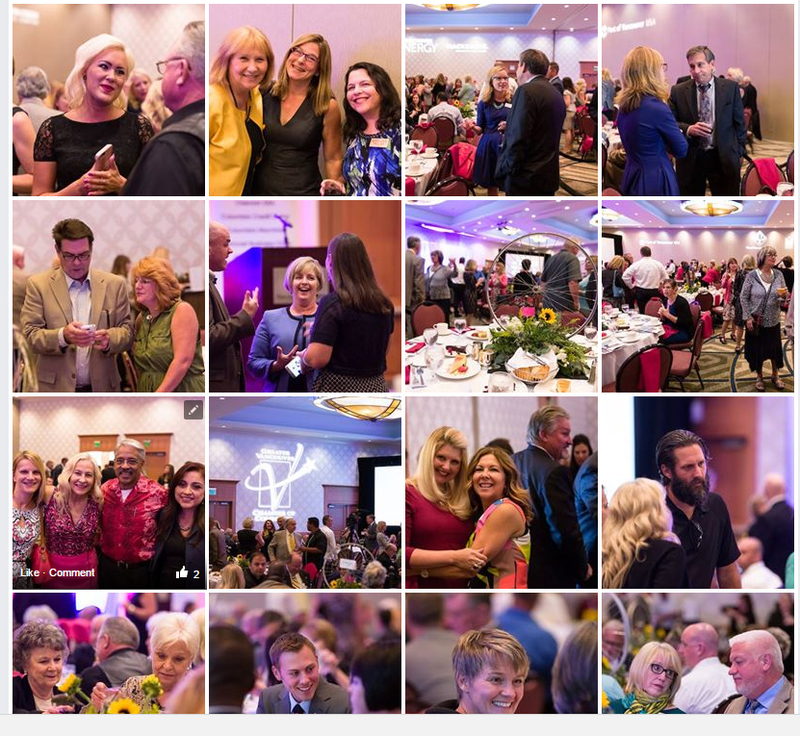 His positive attitude, can-do spirit, participation, leadership, and visibility in the community, has positively impacted business in Clark County. 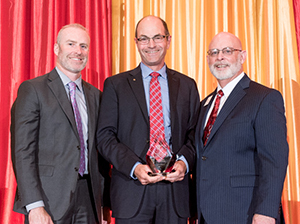 For nearly two decades as the Executive Director/Chief Executive Officer at the Port of Ridgefield, Brent has played a critical role in the responsible growth and economic development in Ridgefield and North Clark County- but also across the county and the Portland-Vancouver metro area. He is the on-the-ground leader behind the concept of the Discovery Corridor (1-5 from NE 134th Street to NE 319th Street) and the transportation infrastructure improvements that have occurred to position Discovery Corridor for its past, present and future in Ridgefield. Among many other additional projects he was instrumental with Washington State Department of Fish & Wildlife Regional Headquarters building on Port of Ridgefield, and the Pioneer Street Rail Overpass to Ridgefield Waterfront. He was/is part of the planning and development of many intersections at I-5, like Ridgefield junction, SR 502 at I-5, NE 139th St, NE 179th St. Grening is also part of the development team of Dark Fiber Optics Infrastructure in the Discovery Corridor. He's a long-time participation on the CREDC Board of Directors, Executive Committee, and on the Lands for Jobs Committee. He is also part of the Advisory Council at Washington State University Vancouver. 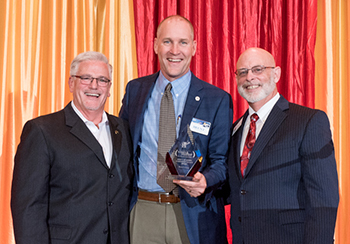 Overall, he's an innovative thought leader that is changing the port industry in the county and the state. His work has resulted in the completion of a 20-year, $90 million environmental cleanup of 40-plus acres of waterfront property. This cleanup is regarded as the largest non-Superfund remediation in the history of the state. He's also been on the front of other economic development issues, like envisioning and working towards the Clark College Boschma Farms campus in Ridgefield.